Birgit Simons's set of four taken from Stereohype's B.I.O. (By Invitation Only) Series 2, Hello Nekko from B.I.O. Series 7, Heiko Hoos from B.I.O. Series 8 and Anthony Burrill from B.I.O. Series 4. 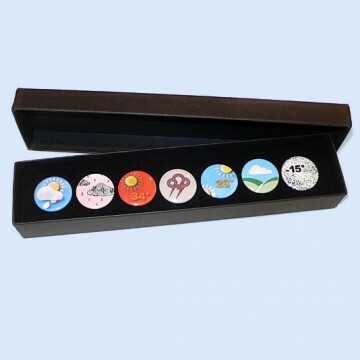 Single badge SKUs: B0057B2, B0396B7, B0058B2, B0477B8, B0056B2, B0185B4, B0059B2.